Entering fourth and final season with the cross country program…saw limited action during the 2017-18 school year…a two-time state qualifier in cross country and once in track for Rockledge High. Cross Country: Lined up twice last fall, opening up at the Mountain Dew Invitational…was a full 30 seconds faster at the FSU Invitational where she checked in with a 5k time of 21:47.9. Indoor: Did not compete. Outdoor: Lined up once for the 5000 at the FSU Invitational (20:12.81). 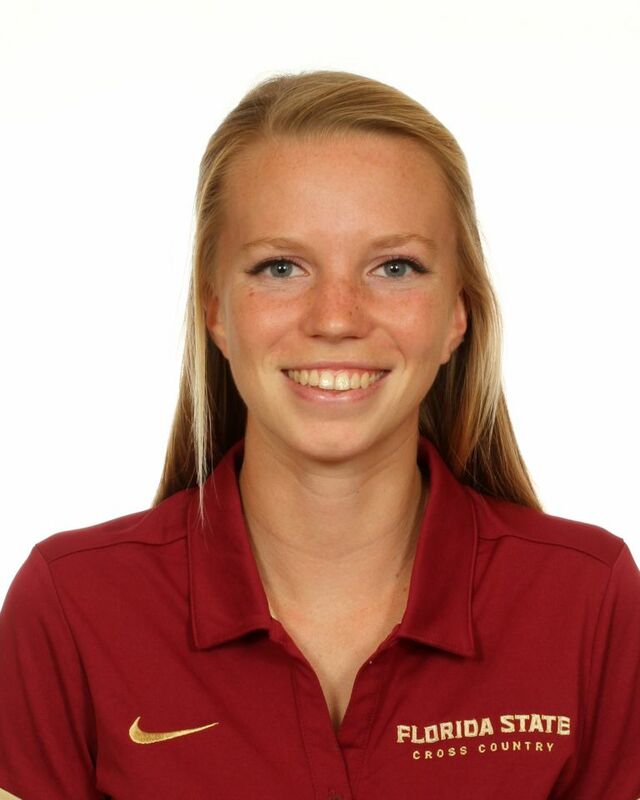 Cross Country: Improved on her 2015 time by more than 30 seconds at the Mountain Dew Invitational (21:11.1)…enjoyed a similar breakthrough at ARP for the FSU Invitational (20:43.7), dipping under 21 minutes for the first time as a collegian. Indoors and Outdoors: Did not compete. Cross Country: Competed in both the Mountain Dew and FSU Invitational with her top 5k time coming on the home course at Apalachee Regional Park. Indoor: did not compete. Outdoor: lined up three times in the 5000…season-best time recorded at the FSU Relays (19:49.18)…also cracked 20 minutes at both the USF Bulls Invitational and Seminole Invitational. Four-year letterwinner and two-time MVP in cross country at Rockledge…narrowly missed a spot on the podium in the 3200 at the state meet as a junior, finishing ninth…captained both cross country and track & field teams as a senior…won eight varsity letters between the spots and was named All-Space Coast…National Honor Society inductee who graduated in the top 5-percent of her class…outstanding student who has worked at the Brevard Zoo for two years…presented her school at Florida Girls State and also the Model Student Senate…chess club president…majoring in biology…born May 31, 1997.